Checkout our live message for this event! In Cambodia, every Barcamp event, we have never seen this topic: LOVE! 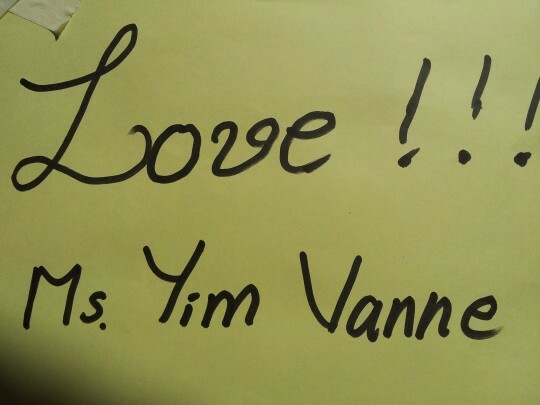 but at Barcamp Battambang, Ms. Yim Vanne from EDI had introduced a topic about “Love” to educate and share information about how a love with respect will earn. This topic was presented at the last session of the Barcamp Battambang, room 212, more than 60 people joint with cheer and laughing. 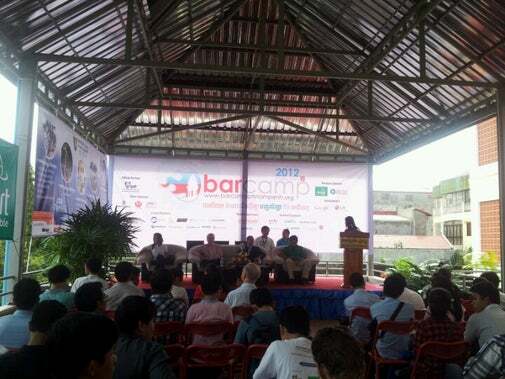 Yim Vanne said: “this is my first time in Barcamp session”. Barcamp started… crowded people coming and many topics posted. 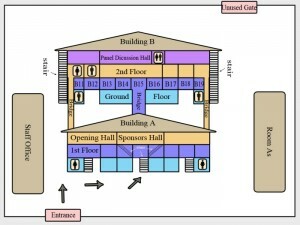 I will leave for Battambang on 24th at 8:00AM. 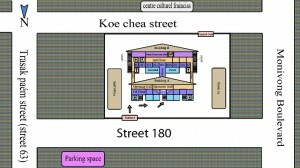 Our station is Open Institute office. So be ready before 8:00 AM. And will be back on 26th at 1:00PM. 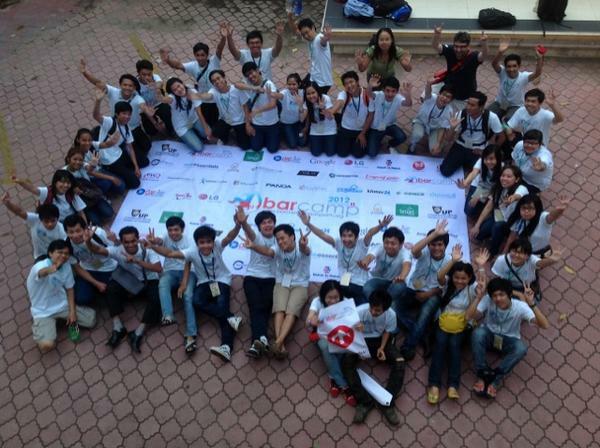 “Barcamp Phnom Penh helps make the many dreams of geeks and tech addicts come true through the freedom of sharing and participation,” said Pongsametrey Sok, projects manager in software development at Nokor Group, a Phnom Penh-based software developer. 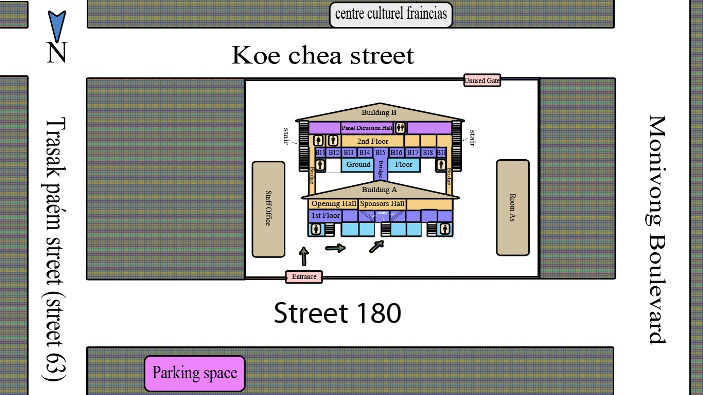 Subject to change by the organizers, please check original Google Doc as said above. My GS II, currently Khmer Unicode does not found and not working for all form, I’m checking about that for what to do without rooting my GS II for Khmer unicode for ICS, will keep updating about this. Upgraded done for ICS, Galaxy S2. Sorry, just back on this topic. New firmware via Kie, have you tried? I’m doing it now if it is ICS or not? 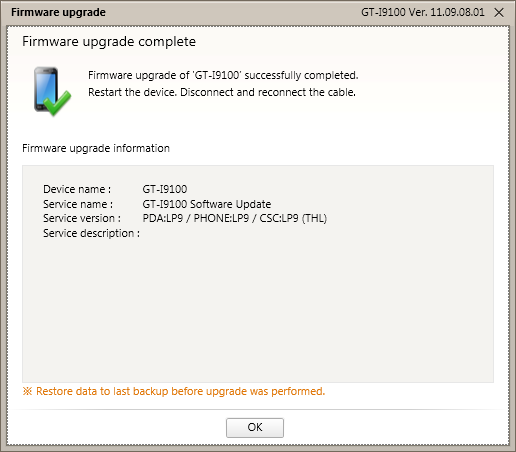 If you can’t wait the official upgrade ICS in Cambodia for GSII via Kie, you can upgrade manually with XXLPO firmware, see below instruction. 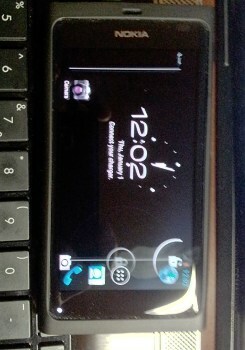 Until now, we have no news about ICS available in Asia, especially in Cambodia where many of my friends are using GS II. We are exciting to wait, to feel ICS in our hand. In this week, ICS should be in UK according to the news in GSMArena but according to the schedule, we should have it end of March. Stay tune!!!! Now Samsung roll out the ICS 4.0.3 for Galaxy S II. You can get it soon via OTA in Cambodia soon but if you wanna get it now you can visit KTOP. First reading above title, really make you surprise that something happening between Android and Nokia! Nokia N9 comes with MeeGo OS, v1.2 Harmattan that lacks of application and feel no future, the picture above got from GSMArena showed that some developer is trying to make N9 works with ICS but we have no clear information about it yet, it might be a good rumor, wait and see. Check it out at the source link below. And if we google more, we got many posts around but confirmed no solution the same, so stop Googling? Let’s continue to search if we can found! 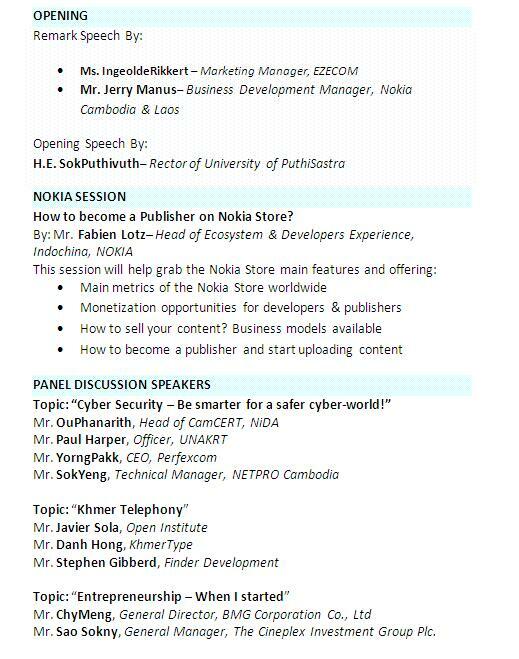 Developers, Geeks & Hackers, let’s find the solutions as there are so many Nokia users in the world, they will like this a lot! At #BarcampPP, #KhmerUnicode (& #Keyboard) could run on #Android phones but you need to root it, source code available here: http://bit.ly/qPDPpL Yeah!!! We could develop application on Android soon!! Now at #CAUG #Khmer #Android User Group Discussion at #BarcampPP ~ what could we do to make our #KhmerUnicode on all Android phones? At #barcamppp, Great with #yiiramework with #gii code generator, let you start your development faster and learn it from scratch easily. Form validation integrated, how easy is it! 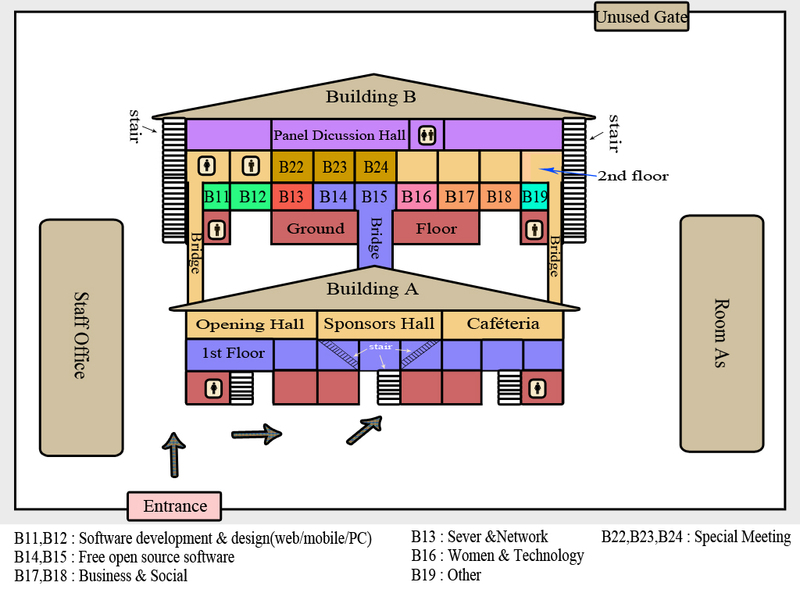 2pm Day1, Google App Engine by #google @ #barcamppp ! Don’t forget to join! Will we have live stream during #barcamppp tomorrow? 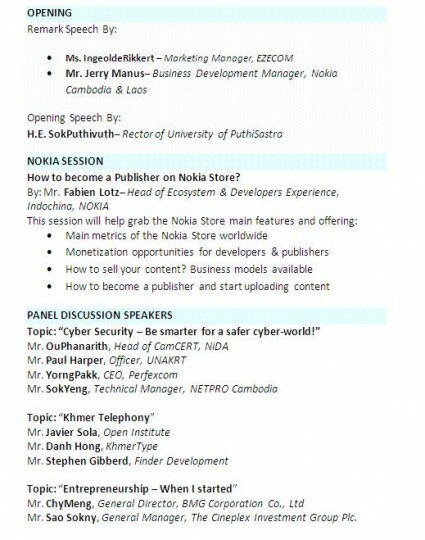 How to become a Publisher on Nokia Store? And more.., hum, it will be a very busy weekend!!! 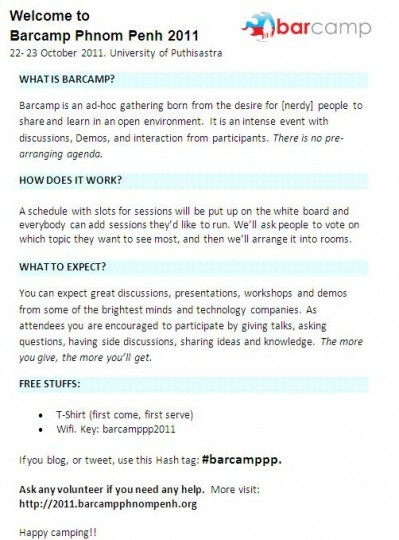 What should be a big advantage for managers, businessmen or HR during Barcamp? Technical persons, they will present themselves by presentation or take some sessions. Others as I stated above, they could present some business concept, strategy or even marketing for the product. That would be more during Barcamp!!! Build your network over there! Cyber Security – Be smarter for a safer cyber world! Entrepreneurship – When I started! One featured topic found is with Nokia Store! Are you ready for a topic? Any way, please vote!!! 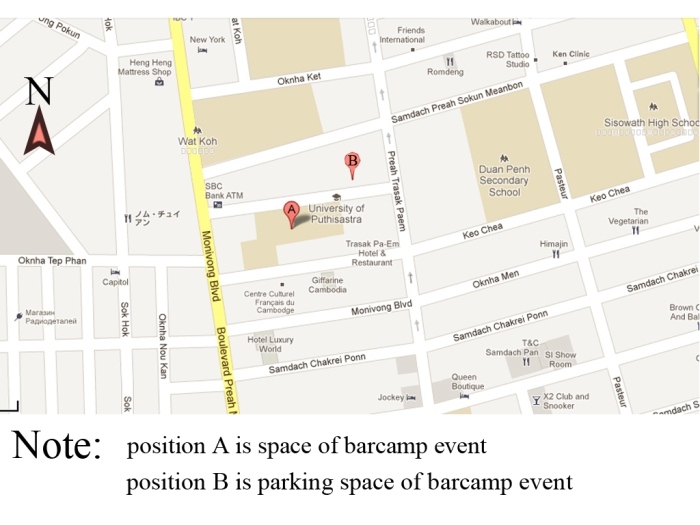 Barcamp team is preparing the agenda, it would be announced soon by tomorrow! 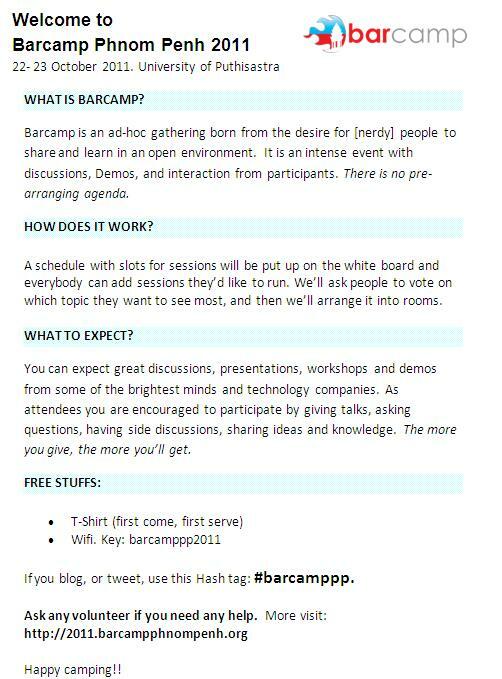 All volunteers are excited to make Barcamp event even more better since they have met, planned and teamed up for each activity.